Normally when I buy jeans, I buy True Religion, unless I'm wanting a high waisted pair which I get from Topshop. However while I was in New York back in March, celebrating my 16th birthday, I saw these lovely bright blue jeans by the brand Hudson. I decided to buy them as they were in the sale in Nordstrom and I really liked them. 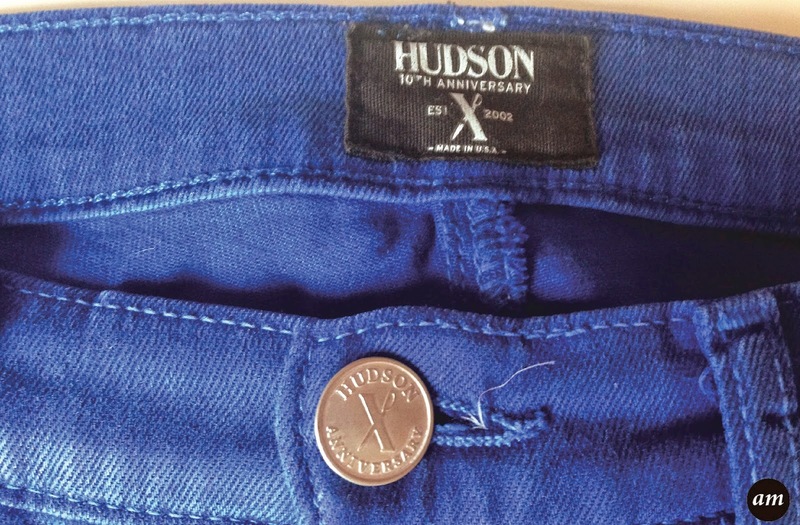 These bold blue jeans are the Hudson 10th Anniversary jeans, but they are also called "Hudson Krista Super Skinny Jeans". 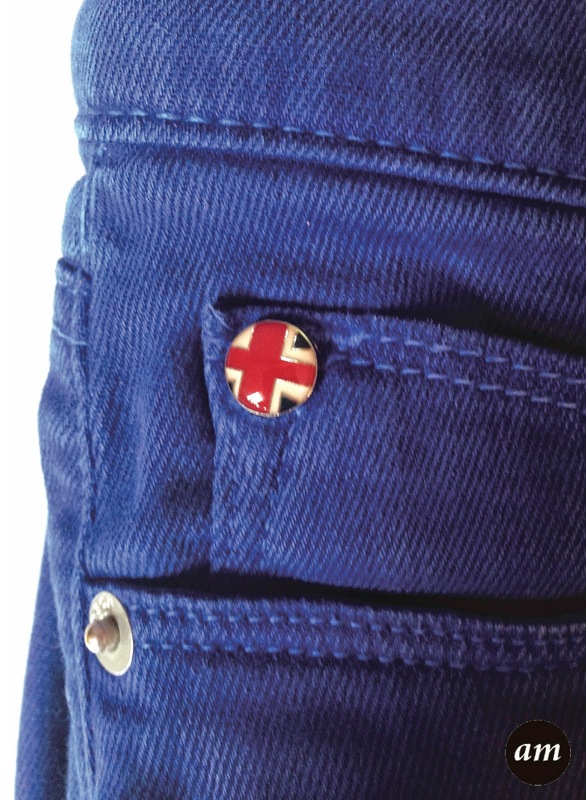 They have a special tag inside with the anniversary logo on, and they have little circles with the British flag on the pockets. The jeans are a skinny fit, and are quite low waisted, which I don't mind. 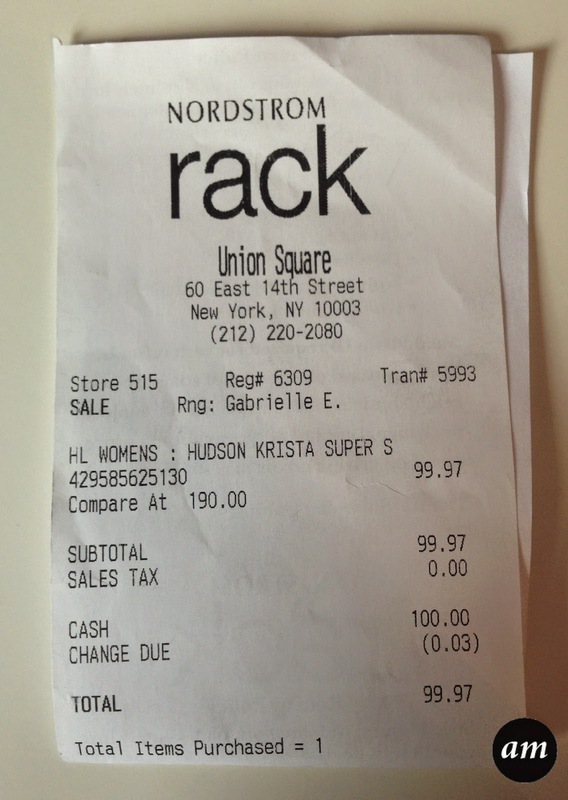 I'm normally a size 26 in True Religion and a size 26 in Topshop, but in Hudson I take a size 25. They fit nice on the waist, but to say they are a skinny fit, they do seem to be a little baggy on the legs. 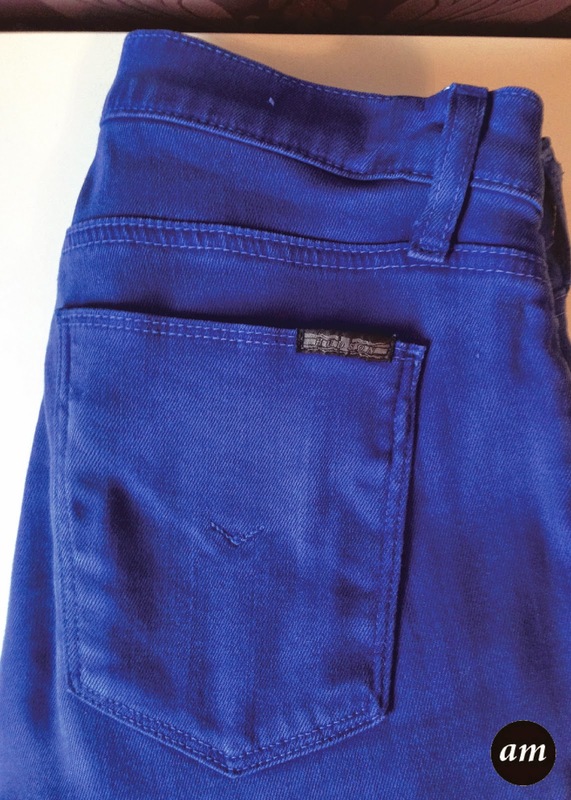 The jeans have a waxy look and feel to them, which is different to other jeans out there on the market. The reason I pay a lot of money for most of my jeans is that I like to have good quality jeans. My Topshop ones last me a couple of months before they have pulls in them, where as my true religions can last me a few years! Even though I got these jeans in the sale, I still payed a lot for them, which is quite annoying to say they already have a pull in them. This tells me their not as high quality as my other jeans. 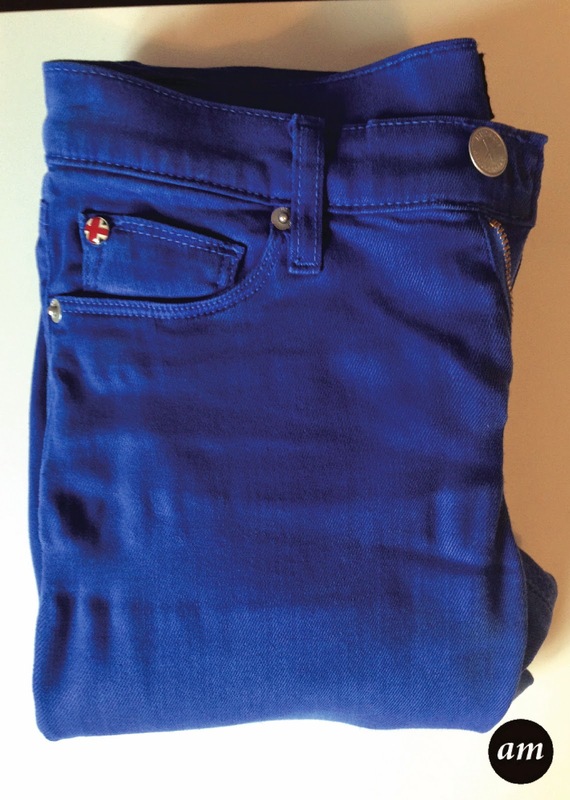 I do love the colour of these Hudson jeans and I love the material they are made in, they are so comfy! 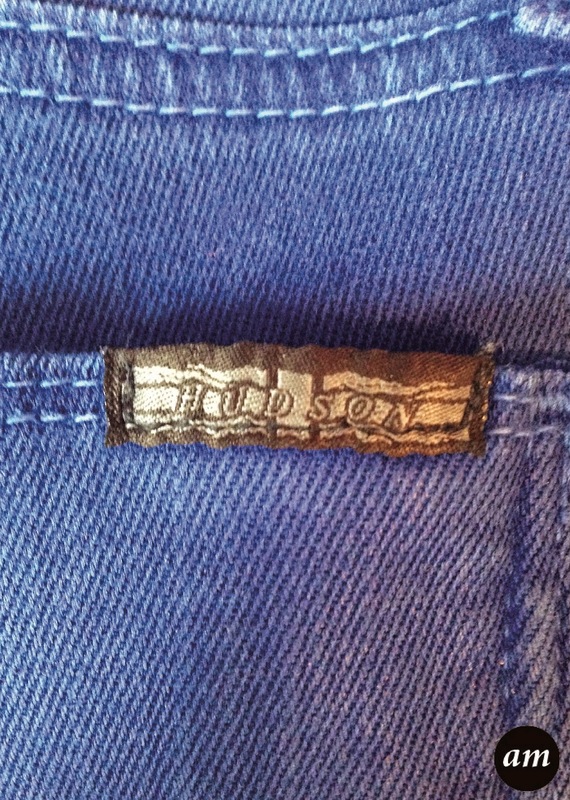 However I won't be buying this style of jean from Hudson again, as I'm not very impressed with the fit or quality. Unfortunately, I can't seem to find the Hudson Krista Super Skinny Jeans in blue online anywhere to link to, but I have found them in black for £117.63 from Nordstrom, but they only have one size left. You may have more luck in store. 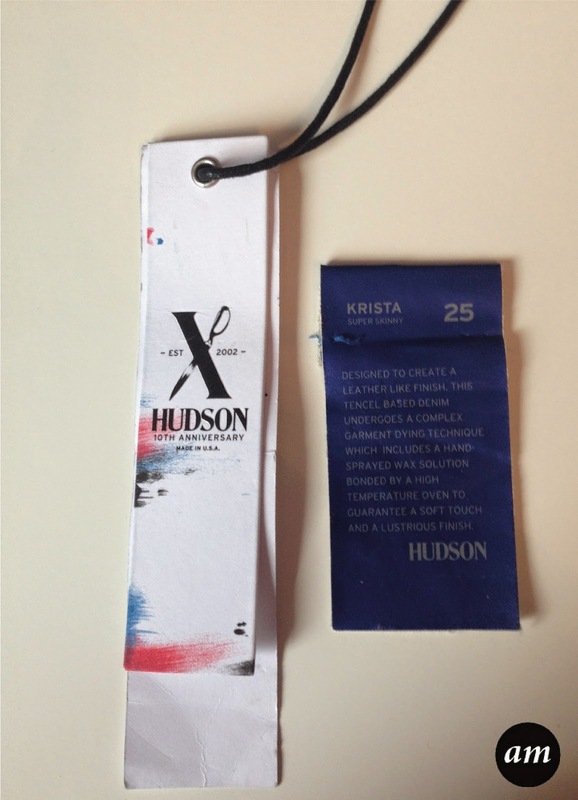 Have you tried Hudson before?